The other day I was unpacking groceries and “C” saw his strawberries go into the fridge. As I was unpacking the rest of groceries and going in and out of the fridge “C” decided he wanted a strawberry. 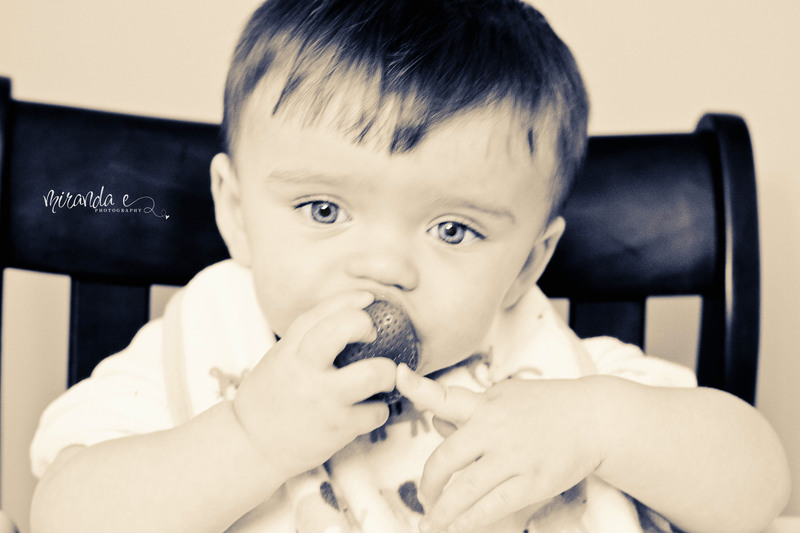 He was quiet and sneaky as he grabbed the strawberries and pulled out the biggest one he could find. 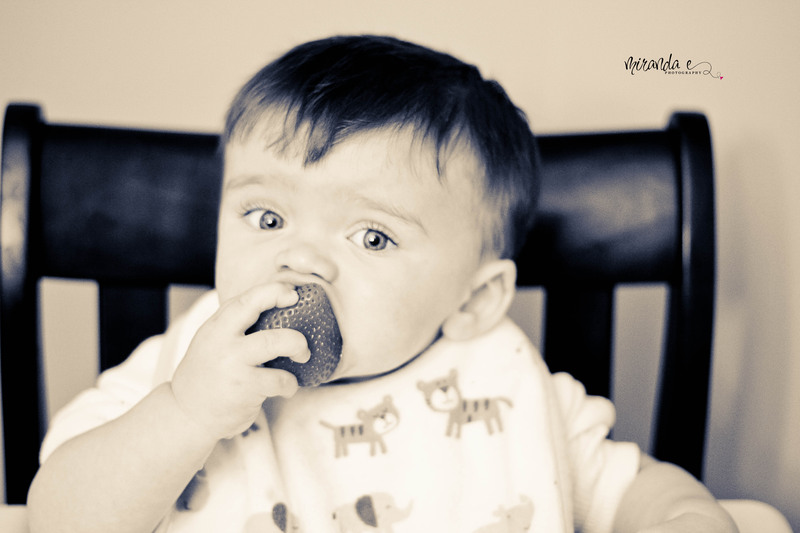 I looked down to see him holding a giant strawberry up to his mouth with his two hands. Typically I always cut them up for him but this time I took pictures. He was happy chomping away on that strawberry. I tried to take it away after I was finished taking a few pictures and he wasn’t very happy with me…to say the least!